Summer 2000: Pia at age 12, with Christof, my father. 10 August 2007, Richmond, Virginia: a single photo (JPG) . 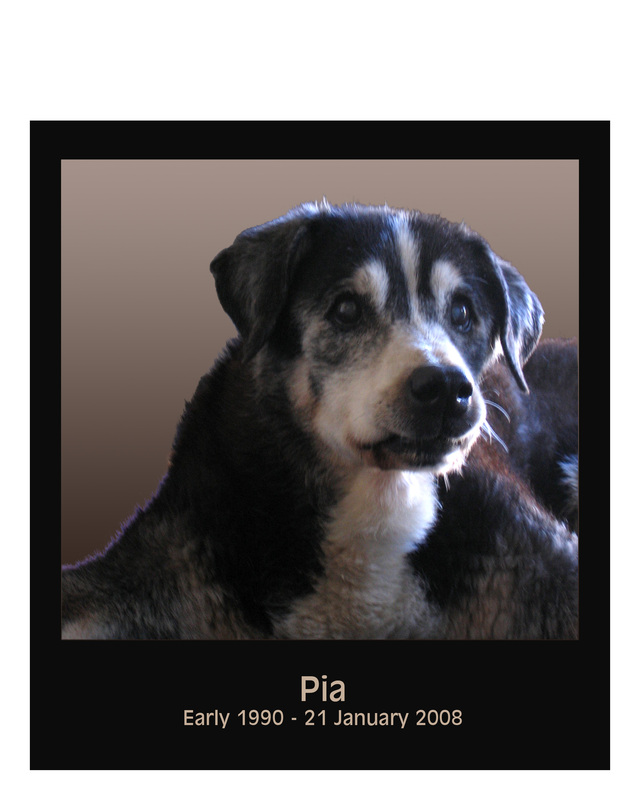 Or Thirteen photos, Pia and Jake, PDF, 10.5 megabytes. Thanks to Chuck Field for taking these photos. MVI_2257.AVI. 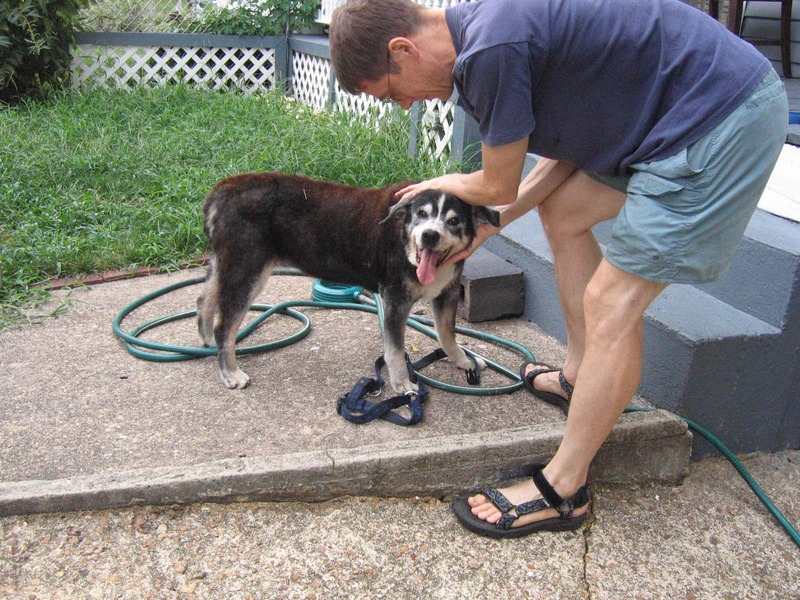 Elderly dog with arthritis climbs short, steep staircase, 25 August 2007. MVI_2258.AVI. 28 August 2007: Pia "nests" and speaks at bedtime. She has been doing this for years. In Eugene, Oregon she used to do her scratching in a 1946 shower made of sheet metal, making lots of noise and scratching the paint off. IMG_2275.JPG: Pia and Jake, 3 Sept 2007, beneath the "cliff" over which she fell on 30 August 2007. MVI_2264.AVI: 4 September 2007, Pia gets her hair brushed before bed. New stairs: 16 September 2007, new gentler stairs, three days after their construction Pia goes down them the first time unaided.